Of all the things my mother cooks, bourekas may be her pièce de résistance. 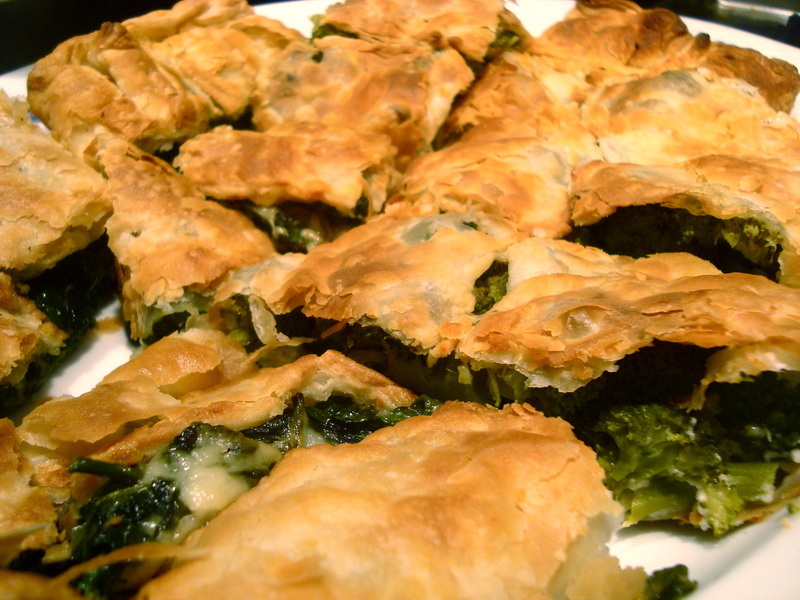 The Israeli version of börek, ubiquitous all over the Middle Eastern, bourekas are pockets or triangles or slices of puff pastry filled with cheese and vegetables – in my mother’s case, almost always spinach or broccoli. She has fed them to us ever since we had teeth – historically, requests were spinach for my sister, broccoli for my brother and me – and always makes enough for straight-from-the-fridge leftovers. They were such a commonplace staple of our childhood, we didn’t even notice they were, by the standards of our small town on the South Shore of Massachusetts, strange. That time my (newly immigrated) mother brought in bourkeas when it was her turn to supply snacks for my sister’s first grade class? Didn’t even make it on our childhood trauma list, though, 20 years later, my aunt still remembers those green-filled oddities sitting, steaming, next to the Hostess cupcakes and peanut butter and fluff sandwiches. 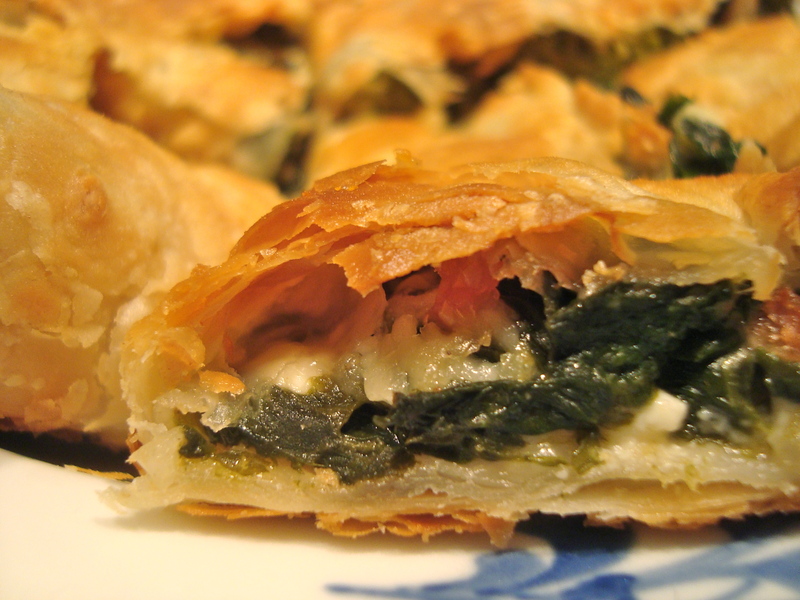 Bourekas is – along with my mom’s vegetable lasagna and her moussaka – my ultimate comfort food. And no matter how many times I try them in Israel, hers, with their inconsistent ingredients, store-bought pastry and unorthodox shapes, are always the best. Though they’re full of vegetables, and therefore full of vitamins and all other child-repellent things, they don’t taste healthy. (Admittedly, my mother’s hand has grown a bit heavier when adding vegetables ever since her childrens’ palates finally matured enough to let go off an unmatched love for Kraft Macaroni and Cheese.) Bourekas are comfort – cheesy, melting, gooey – but, with the appropriate addition of spicy sauce, they are even exciting and, sprinkled with a little za’atar, even exotic. 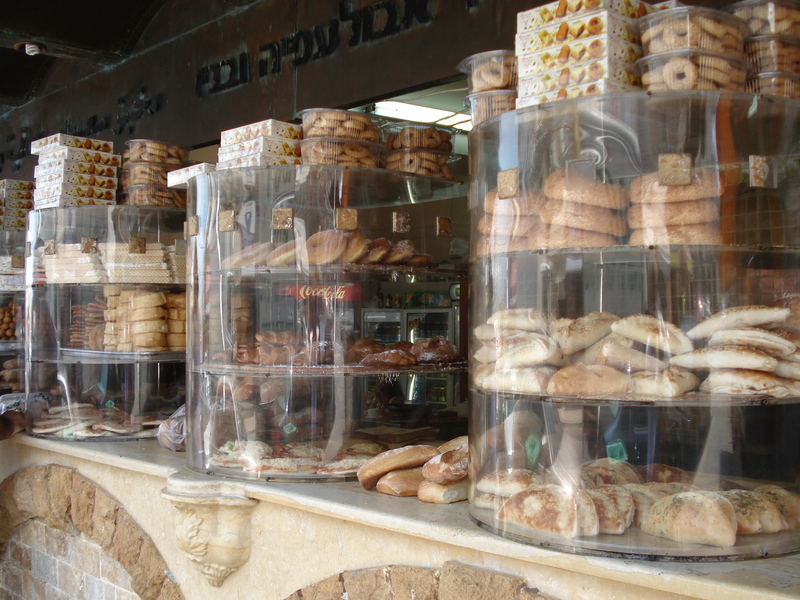 Bourekas, doughnuts and other goodies in Jaffa, Israel. And the way my mother makes them, they are also dead easy. 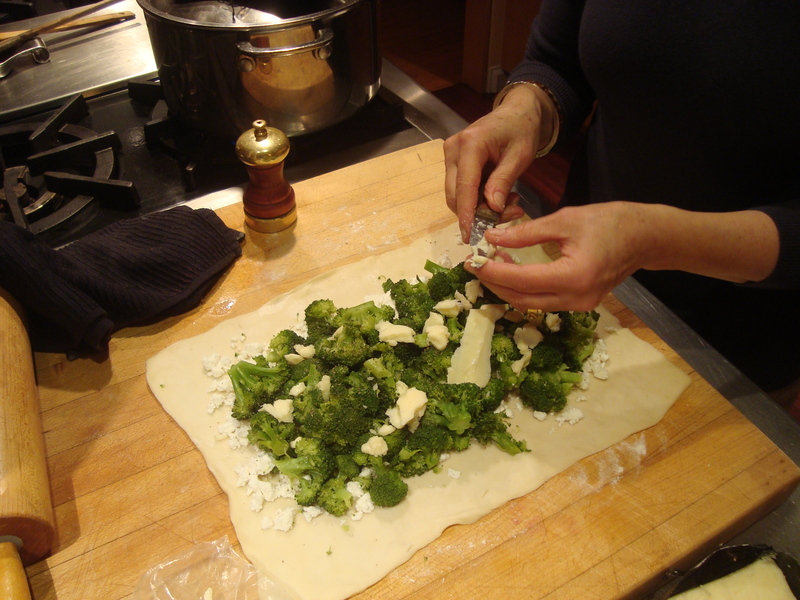 You just take whatever cooked veggie you want – anything from mashed potatoes to caramelized onions to softened zucchini – then layer it with cheese – anything from cheddar to feta to mozzarella – on puff pastry, fold it all up, brush with an egg wash if you’re feeling fancy, and bake it until the cheese melts and the pastry is cooked through. Serve with a spicy condiment (skhug is a personal favorite) and a green salad and you’re done. If that doesn’t convince you, my aunt swears that though the first graders initially crumpled their noses at the sight of broccoli, by the end of snack time, there was nothing left to keep the fluff sandwiches company but a few scraps of pastry. Endlessly adaptable in terms of shape and filling, these bourekas are best served with skrug (if you can find it) or any spicy condiment. Use the below measurements as a guide, but you should really just eyeball it. Let them sit for ten minutes or so before serving to prevent all the yummy insides from running out. They’re also perfect reheated (or eaten cold) for tomorrow’s lunch. These bourekas deserve the best quality puff pastry (butter rather than oil-based), and so do you. Preheat the oven to 400°F/200°C. 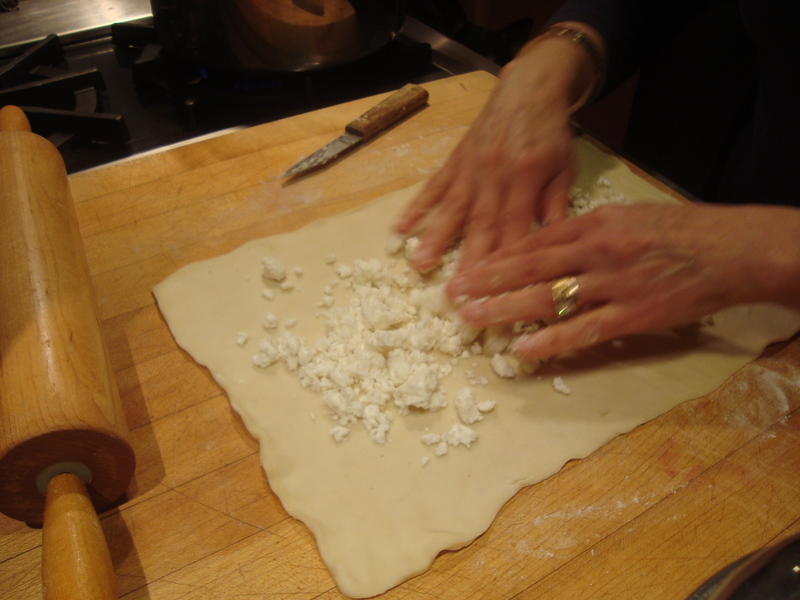 Arrange half the feta on each dough rectangle, leaving about 2 inches free on all sides (as in the photo). Spread your veggies over, then top with the melty cheese and salt and pepper. Fold up sides and crimp them together in the middle and on either end to seal. Repeat with remaining dough. Brush the top of the dough with the beaten egg and sprinkle with sesame seeds if desired. 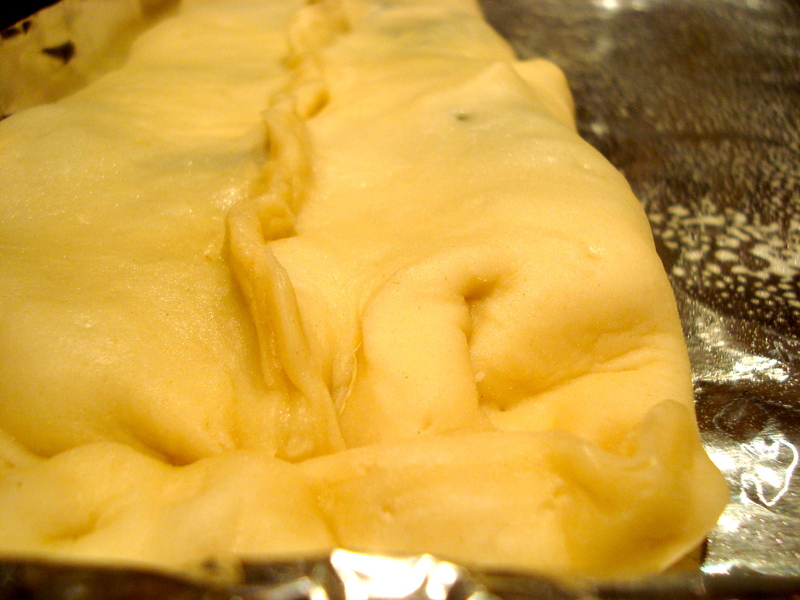 Bake in preheated oven for 25 – 30 minutes or until the puff pastry is golden brown. Allow to sit for 5 – 10 minutes before slicing and serving. They are truly luscious, and I bet all of those first graders still love spinach!